I couldn’t honestly start this story without an admission. I’m not a trike fan and I have openly mocked them in the past – always with superbly hilarious results. Just ask my friends. Some even said I should do stand up. Really. And can you blame me? How many cool trikes have you all seen in the past? And how many trikes have you seen with purple velvet bench seats, bad fibreglass mouldings and car tires? That’s right; a freaking heap-load. But like a politician raising taxes, I recently had to eat my words after Scott shot me an image of the creation you see here. 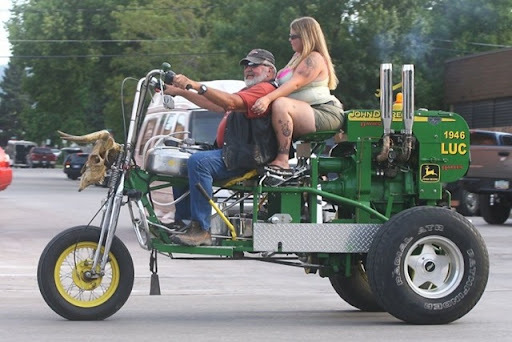 Obviously it’s a trike, but it’s been done with such a keen eye and good taste that I’m never going to think of trikes in quite the same way again. And the man who is responsible for the foot in my mouth? 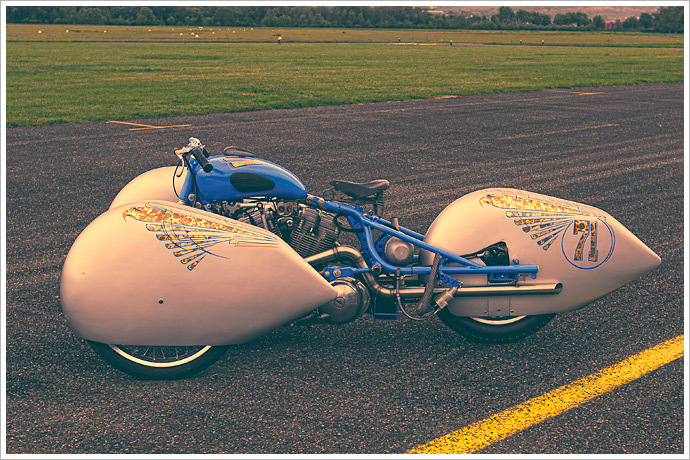 Meet Francis Bouillet, owner of France’s Kustom and Racer Design Workshop.